This one is sold, also. Yay me! 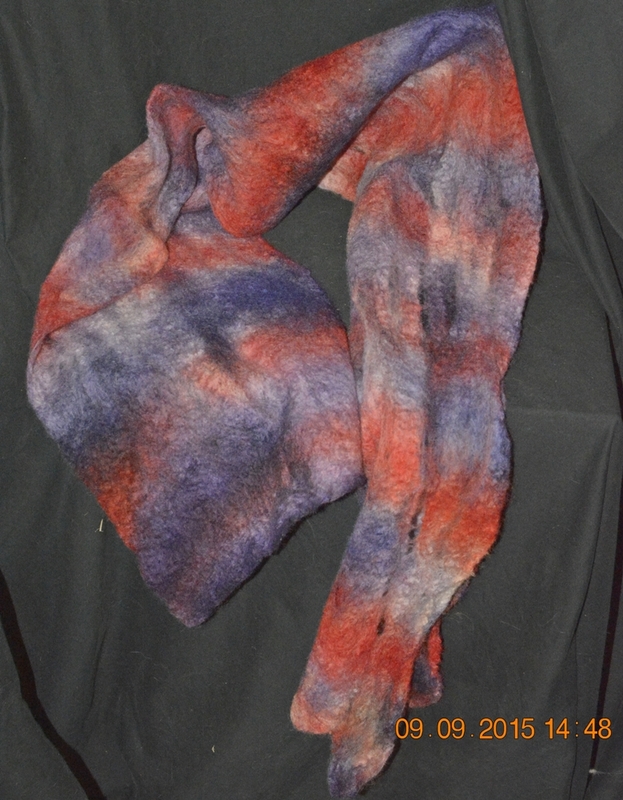 I hand-dyed 100% Wool Roving and then cobweb felted it to create this one of a kind scarf. It is red and blue, and a very lightweight felt. Cobweb felting is kind of like a cobweb – there are areas with spaces between the wool. 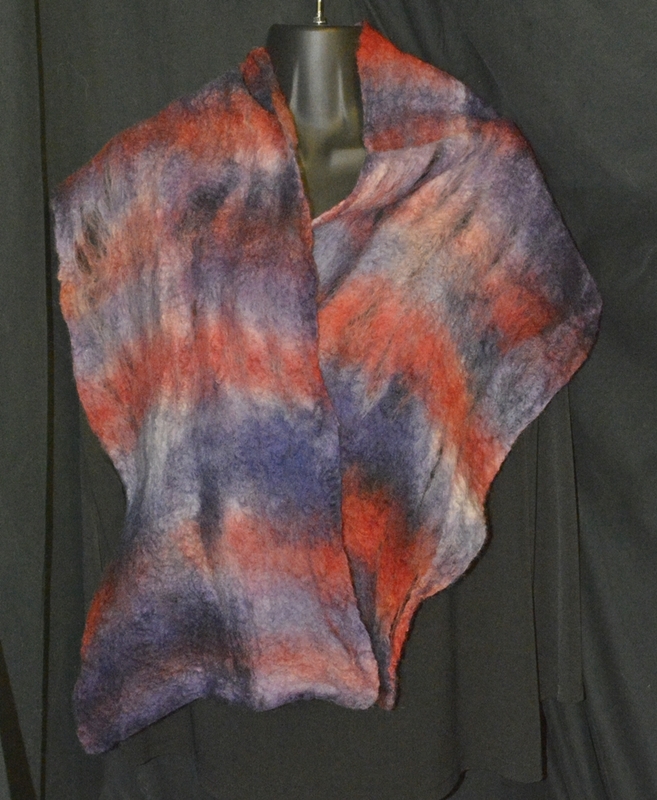 If you are interested in purchasing this scarf, it is $75.00 with free shipping in the USA. Let me know in the comments, or you can buy it directly from my artfire.com shop – https://www.artfire.com/ext/shop/home/Castle_Argghhh. This entry was posted in Castle Argghhh Creations Available and tagged blue, cobweb, hand dyed, red, Wet-felting, wool. Bookmark the permalink.